Do you have pesticides at your home or farm that you no longer need or use? If your answer is ‘yes’, then you’ll be interested in the Franklin County Pesticide Collection Day on Tuesday, March 5th. The N.C. Cooperative Extension of Franklin County, in cooperation with the N.C. Department of Agriculture and Consumer Services’ Pesticide Disposal Assistance Program, a NON-Regulatory and Cost-Free program, will be offering this Pesticide Collection Day for residents in Franklin County and all of the surrounding North Carolina counties. The collection will be from 10 a.m. to 2 p.m. at the Franklin County Farmers Market. Nearly all pesticide products will be accepted at this amnesty collection event, including banned and outdated pesticides. For pesticides with unreadable or missing labels, please contact the N.C. Cooperative Extension of Franklin County office for instructions (919-496-3344). Please save any portion of the label to help identify the material so you can be assisted with disposal. Unknown materials cannot be accepted. For pressurized pesticide gas cylinders or containers greater than 5 gallons in size, please contact the N.C. Cooperative Extension of Franklin County office before the Collection Day for special instructions and information. For tips on transporting the pesticides safely to the Collection event, contact the N.C. Cooperative Extension of Franklin County office. Each year the Pesticide Disposal Assistance Program visits between 40-50 counties to collect unwanted and unused pesticides through this NON-regulatory amnesty Program. This means that a Collection Day of this kind only happens about once every other year in each county! 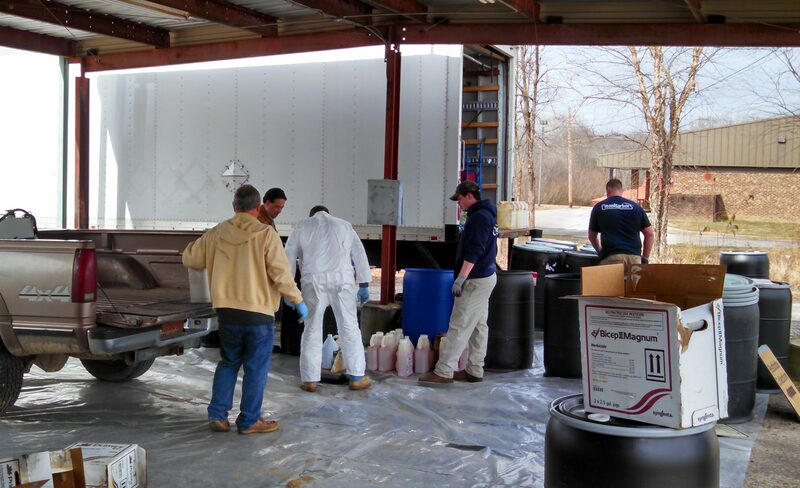 Don’t miss this pesticide collection opportunity in Franklin County co-sponsored by the N.C. Cooperative Extension Service and the N.C. Department of Agriculture and Consumer Services. For more information contact N.C. Cooperative Extension of Franklin County at 919-496-3344.